In April 2017, eight radio telescopes around the globe all turned to look in the same direction. Their goal was an ambitious one: to image the shadow of the event horizon of a supermassive black hole. 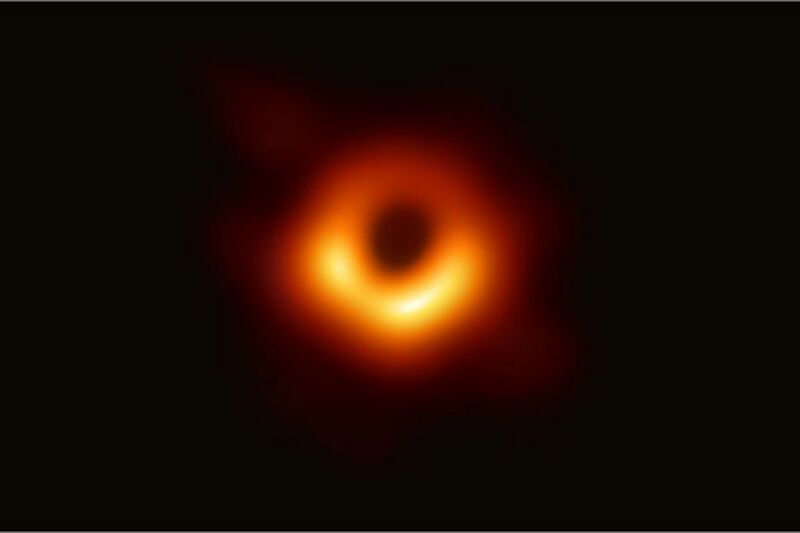 Today, they have revealed the very first image of the black hole at the center of Messier 87, a massive galaxy in the nearby Virgo galaxy cluster. Of course, the photo is not directly of the black hole itself but its shadow (by their very nature, that would be impossible). Black holes generate a gravity field so strong nothing – including visible light – can escape them. Instead, this image reveals the black hole's event horizon, the swirl of dust and gas and stars and, importantly, light (hence the image) that circles the edge of the black hole before being sucked inside, and the shadow of the black hole beyond. The Event Horizon Telescope (EHT) consortium was able to achieve this incredible feat using a phenomenon called interferometry. If you simultaneously use two telescopes that are far apart, you can combine the observations in an incredible way. The further apart the telescopes are, the more precise the images. 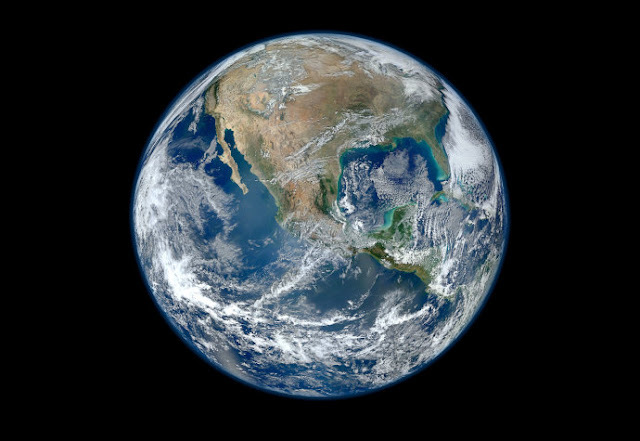 The EHT's telescopes are spread all over the world, from Chile and Spain to Hawaii and Mexico, all the way down to the South Pole. Combined, they have the power of a single telescope the size of Earth, the only approach that would allow them to gather enough data to see M87 like this. 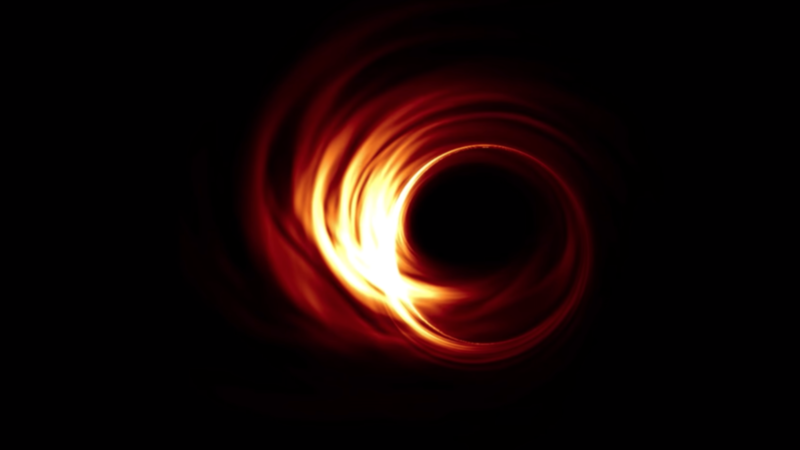 "If immersed in a bright region, like a disc of glowing gas, we expect a black hole to create a dark region similar to a shadow — something predicted by Einstein’s general relativity that we’ve never seen before," explained chair of the EHT Science Council Heino Falcke of Radboud University, the Netherlands in a statement. "This shadow, caused by the gravitational bending and capture of light by the event horizon, reveals a lot about the nature of these fascinating objects and has allowed us to measure the enormous mass of M87’s black hole." M87 is an elliptical galaxy 54 million light-years away, and its supermassive black hole is much larger than the one at the center of our own galaxy. It has a mass 6.5 billion times the mass of the Sun and stretches for 0.39 light-years. "Once we were sure we had imaged the shadow, we could compare our observations to extensive computer models that include the physics of warped space, superheated matter and strong magnetic fields. Many of the features of the observed image match our theoretical understanding surprisingly well," said Paul T.P. Ho, EHT Board member and Director of the East Asian Observatory. "This makes us confident about the interpretation of our observations, including our estimation of the black hole’s mass." The observation of the black hole is an incredible feat, but it is also a crucial test for Einstein's theory of general relativity, quantum mechanics, and certain astrophysical theories. The details of these findings have been published in multiple papers in the Astrophysical Journal Letters. We still don't know what’s inside a black hole, however, and so far we have very little certainty about what surrounds them. Our observations of these objects have almost exclusively been indirect, creating simulations and models. We see their effect rather than the objects themselves. Thanks to this ground-breaking project, we have now reached the boundary between the universe and what lies within a black hole.